I read this article and found it very interesting, thought it might be something for you. 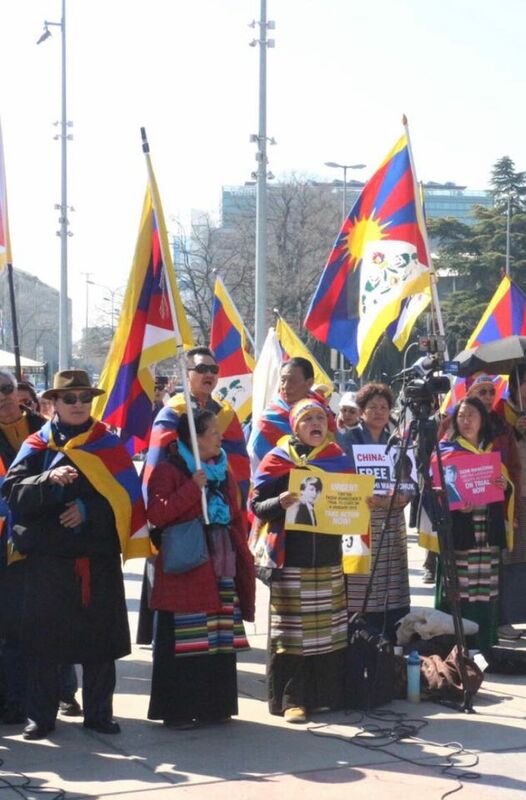 The article is called Tibetans Urge UN Member States to Call China to End 60 Years of Human Rights Violations in Tibet and is located at https://tibet.net/2019/03/tibetans-urge-un-member-states-to-call-china-to-end-60-years-of-human-rights-violations-in-tibet/. 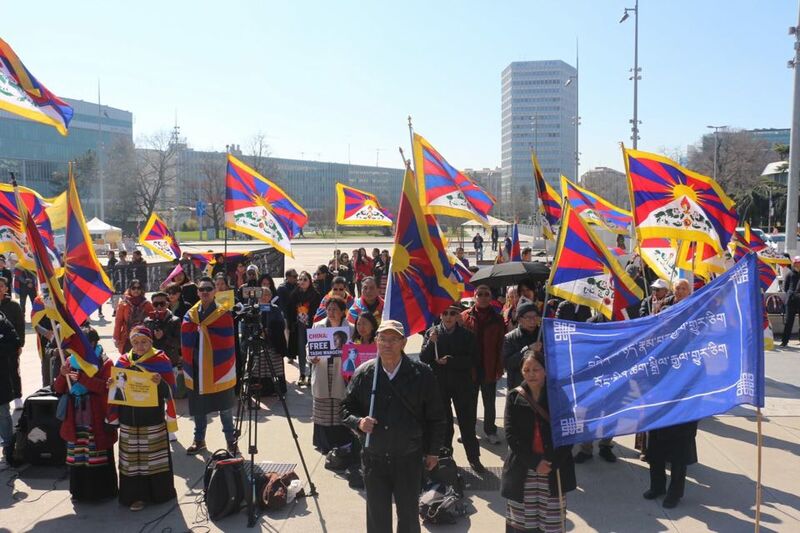 Tibetan community in Switzerland and Liechtenstein in front of UN building in protest against China’s human rights violation in Tibet in the past 60 years. 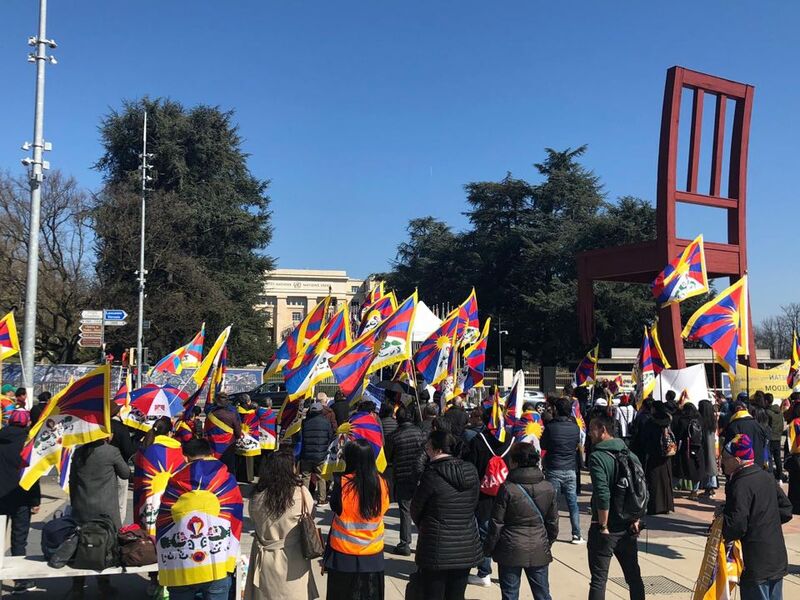 Geneva: Tibetan community in Switzerland and Liechtenstein called upon China to end human rights violations in Tibet in a demonstration staged in front of the UN building this Friday. Protestors urged UN Member States to call China to end its 60 years of systematic human rights violations in Tibet. In his address, Representative Chhimey Rigzen said the demonstration in front of the United Nations is “a peaceful expression” that sends “message” to the UN member states that the situation inside Tibet is deteriorating. It is an indispensable responsibility of every Tibetans to keep Tibet cause alive, therefore, all Tibetans must carry forward the responsibility in advancing the Tibet movement, he added. In the past 60 years, since China’s invasion of Tibet, “The Chinese government has strengthened its systematic efforts to crackdown on Tibetans in Tibet and to eradicate our traditional culture, language and identity. China is committing cultural genocide in Tibet with impunity. Political repression, economic marginalization, systematic discrimination and environmental destruction are the realities of Tibet under China” reads the press release. A two-page appeal letter addressed to Ms. Michelle Bachelet, the UN High Commissioner for Human Rights, was also handed over to the Commissioner’s office. “To resolve the Tibet issue, the Chinese government must resume dialogue with the envoy of His Holiness the Dalai Lama immediately,” said the appeal letter. “We are gravely concerned that China has made a mockery out of the HRC’s Universal Periodic Review. It rejected recommendations involving providing unhindered access to Tibet to UN mechanisms, persecution on the basis of religion, freedom of movement, the right to peaceful assembly, and the rights of human rights defenders. Recommendations involving the rights to freedom of religion or belief, resumption of two-way dialogue on Tibet, and respect for the human rights of Tibetans were indicated as “already implemented.” For Tibetans, it is utterly cynical to hear that Chinese government stated that recommendations, which called for the protection of their rights, are “already implemented” and that “all its citizens are equal before that law,” it said. “For 60 years, Tibetans have been deprived of their basic rights under Chinese rule. Standing up for the rights of the Tibetan people means standing up for the universal principles of human rights,” stated Norbu Tsamda, President of the Tibetan Community of Switzerland and Liechtenstein. Representative Chhimey Rigzen addressing the gathering infront of UN building. Tibetans shouting slogan against China’s repressive policies in Tibet. 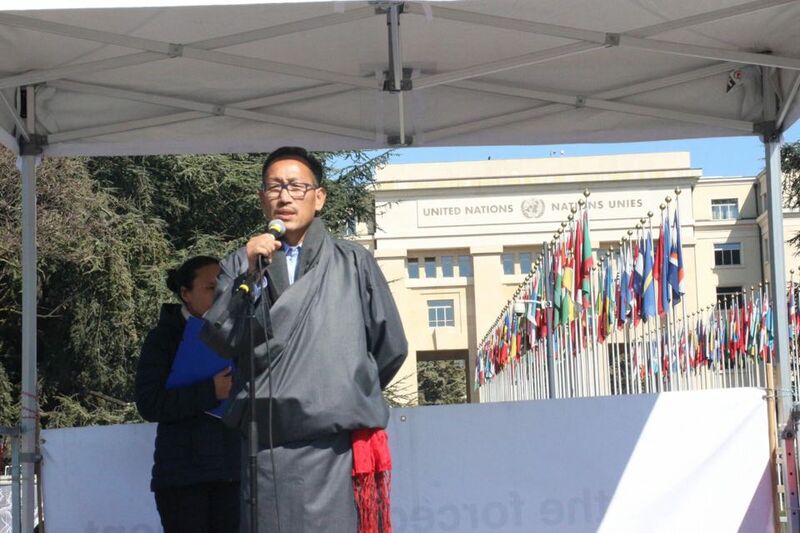 Tibetans urging UN member states to call China to end human rights violation in Tibet. “Human rights with Chinese characteristics” already at the U.N.